Wax On = wax dipping my oak aged English Barleywine, Brew Off = updates on the beer I’ll be brewing for the sjporr challenge. In addition to those updates I’ve included a clip updating you on my Tripel and I talk about 2 brewing books that I recently purchased. 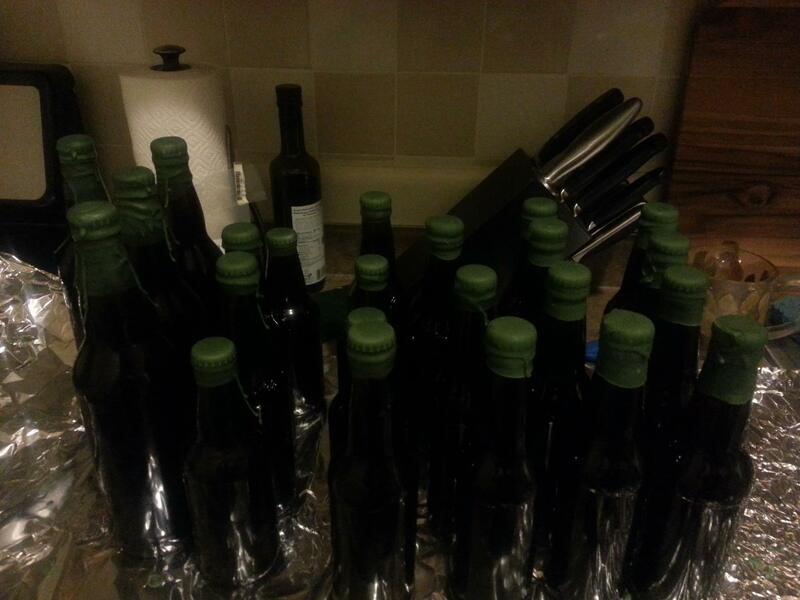 This entry was posted in Homebrewing and tagged Belgian Tripel, English Barleywine, homebrew tripel, Homebrewing, oak aged barleywine, sucaba, wax dipping homebrew, wyeast 3787. Bookmark the permalink.